Director and Founder, Michael overseas the entire business operations for GRAP VENTURE PTE LTD as the Managing Director. For the past 10 years, Michael has been fortunate to work with some of the best coaches and for great badminton institutions in Singapore, which include: Raffles Institution, SAFRA, Tanjong Katong Girls' School, Anglo Chinese Junior College, and United World College. Michael's strong badminton background and knowledge has allowed him to develop lasting relationships with students here in Singapore. He has also managed to develop strong junior badminton and adult programs throughout the Singapore region, and is instrumental to bringing milestone events like Inter-Corporate Tennis Championships and ShuttleFest. He is passionate about sports, whether it’s Badminton, soccer, running, squash, tennis, surfing or just getting sweaty. Michael doesn't sit still often. He is always open to learning and growing, so please don't hesitate to tell him how we can improve our Badminton Academy. Originally from Malaysia, Elvin has vast experiences in training under a talent development scheme and is also a former Perak State Player. His curiosity about badminton and the wish to share his insights into developing competitive athletes that perform at the highest level characterises his teaching. Badminton has always been his interest since a tender age, and he hopes to inspire the next generation of shuttlers. 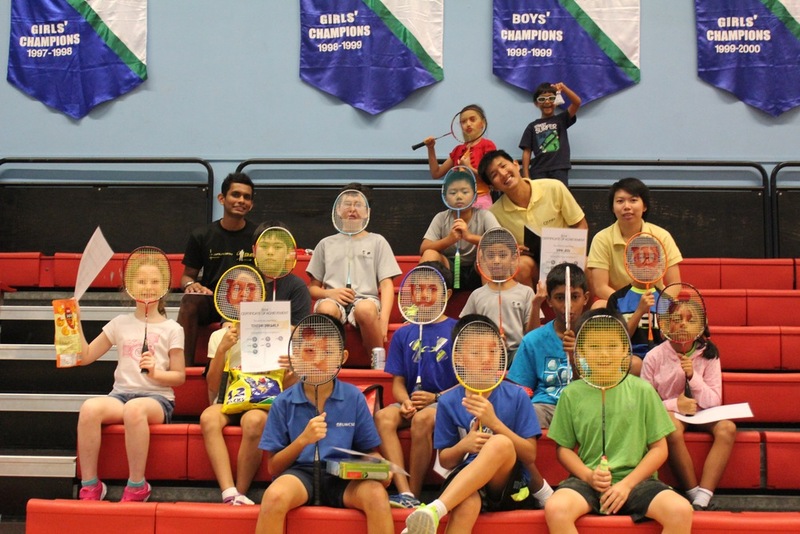 Julie loves teaching Junior Badminton classes because of the emphasis these programs place on developing strong badminton fundaments and providing a platform for talents to grow in Singapore. Julie has a big heart and loves to assist others in reaching their sporting goals. Sunny's passion in badminton has always been a lifelong journey. What started out as a hobby soon turned into a stint at the famous F&N Singapore Training Squad as a Coach. With great experience and stories to share with all budding players, he continues to imbue important character and personality into them. Badminton has always been a way of life for Jane. She has always been a first-team player and first-class athlete during her younger days and is now on her way to become a NCAP Level II coach. She became Certified in 2013 and has been teaching ever since. She believes badminton is a lifestyle so don’t be surprised if you see her playing her favourite game at a court near you. Salahuddin is known for his intense, high-energy badminton classes and is often referred to as the "Mad Sala". He thinks all workouts should be fun, and by "fun" he absolutely means "challenging." When not putting students' arms, obliques and glutes to the test, Salahuddin maintains a strong passion in learning about Sports Biomechanics to prevent injuries in young athletes. Yue Mian is a creative mind, has passion for architecture and grew from being a competitive badminton player, and ultimately a part of Singapore Sports School elite badminton team. Her love for the game lead her as a coach for both competitive school teams and individuals. Helping to mentor younger players to reach a goal and obtain success became such a joy and driving influence! Stanley's goal is to show students how practicing across multiple techniques helps compliment both the physical aspect & mental toughness required to make improvements in badminton. When taking a class from Stanley, students can expect to be challenged with concepts and techniques that will not only improve their practice but impact their approach to gameplay. Victor is passionate about helping people through badminton. He believes that no matter what kind of shape you're in, you can achieve new levels of fitness and gameplay through proper badminton training. While not at work, he enjoys a great game on his brand-new PS4, cycling, and spending time outside with friends. A late bloomer in badminton, Yeong Sheng only picked up the sport at the age of 14. It began an incredible sporting journey for him as he went on to grab numerous medals and achievements in the badminton circle. He is excited to keep you moving with his repertoire including, incorporating finesse and trickery to your game.